This is a three part recipe that I came up with in honor of Valentine's Day. 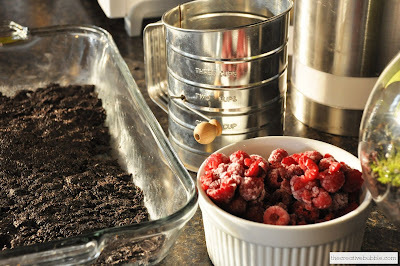 It just seemed so suiting to mix dark chocolate and raspberries for this lovely holiday! I really enjoy brownies with large chocolate chips that didn't quite melt in the baking process, so I had to include those in this recipe. I also really like some texture to brownies, so that's why I added the cookie crust. 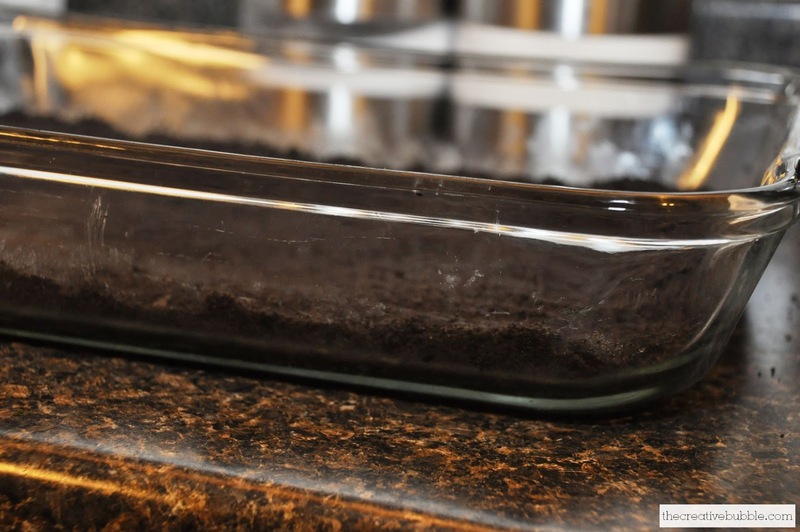 Use a greased 12in x 18in glass baking dish. Mix butter and crushed cookies together and press firmly into baking dish. You don't have to bake the crust before adding the brownie layer. 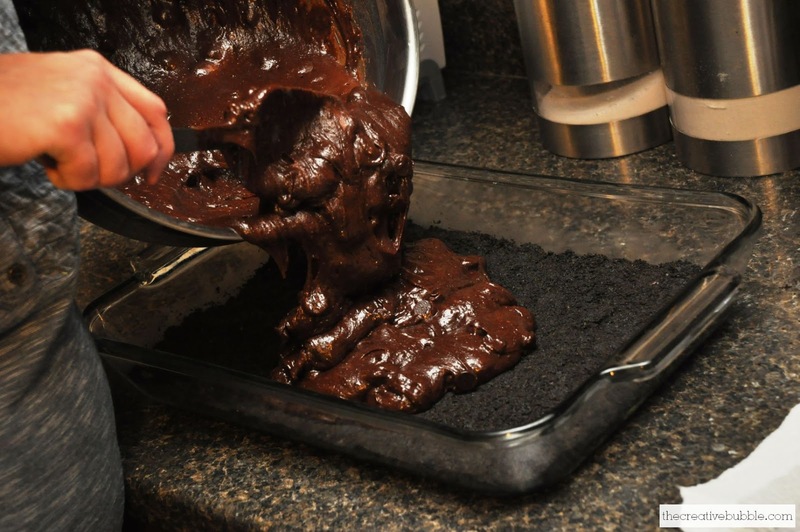 Melt together the butter, 1 lb of chocolate chips, and the unsweetened chocolate in a medium bowl over simmering water. Allow to cool slightly. In a large bowl, stir (do not beat) together the eggs, vanilla, and sugar. Stir the warm chocolate mixture into the egg mixture and allow to cool to room temp. In a medium bowl, sift together 1 C of flour, the baking powder, and salt. Add to the cooled chocolate mixture. 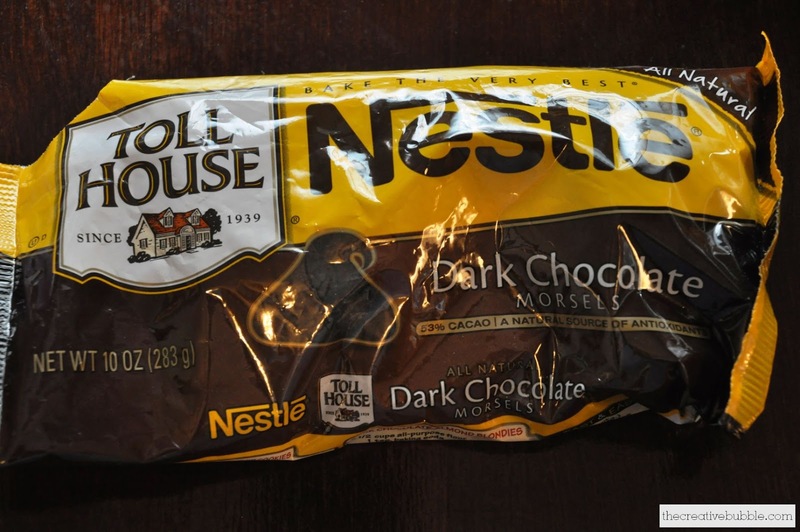 Toss the 12oz of dark chocolate chips in a small bowl with 1/4 C flour, then add them to the chocolate batter. Pour into the baking dish. Bake for approximately 35 minutes, until a toothpick comes out clean. Be sure to not over bake the edges, but also be aware that it may take longer than 35 minutes for the middle to finish cooking. Allow to cool thoroughly before adding the Chambord icing. 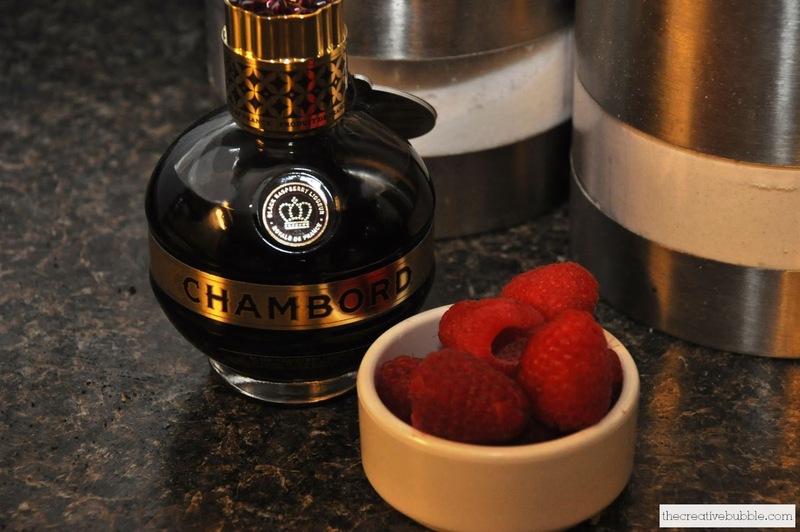 Cream cream cheese and butter, then add vanilla, salt, Chambord, and powdered sugar 1 cup at a time. Then, on high speed whip for a few minutes until light and fluffy. 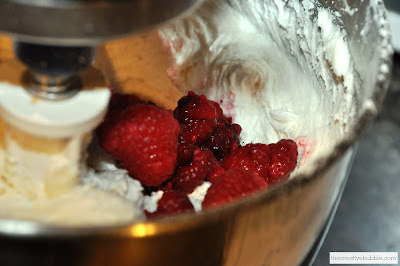 Add the fresh raspberries last, and mix for only a few seconds until incorporated. Refrigerate for 30 minutes. Frost the brownies once they are completely cooled with as much icing as you like (you will probably have a little left over which is a great excuse to make a small cake, cupcakes, or you can use it as a filling for muffins!). 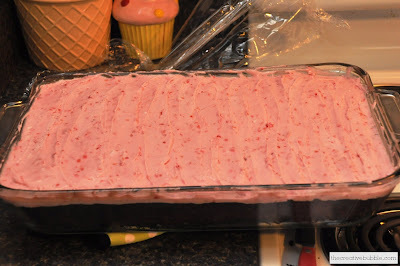 Refrigerate after icing to allow the frosting to become a little firmer to help you get a cleaner cut. The Oreo layer will likely be a little hard to cut into when it's cold. 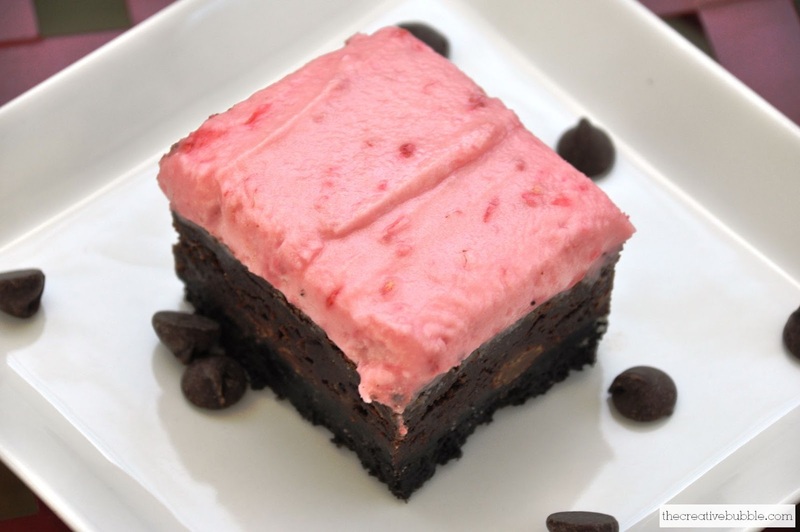 Helpful hint: Use a knife to cut around the brownie edges after you ice them. Then, put the dish in the freezer for three to four hours. Cut around the edges again, and use a large spatula under the brownies to remove the whole frozen mass from the dish. Place onto large cutting board. This will help you cut the brownies without ruining the pretty icing on top. I absolutely LOVE the flavor combination and texture of these brownies! This is how thick I like the Oreo crust to be. 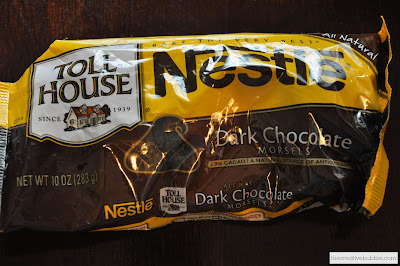 These are my favorite chocolate chips to use in desserts. They are larger chips than normal, and taste delicious. This is how my (frozen) brownies looked after I removed them from the baking dish to make them easier to cut. Here is the final product! Let me know if you try them. I hope you do! You won't be disappointed. 12 cups of powered sugar for the icing??? Hi Cyndy, yep it's a lot, but that's right! Thank you Katie! Can't wait to make this....yum! You're welcome! I hope you like them. 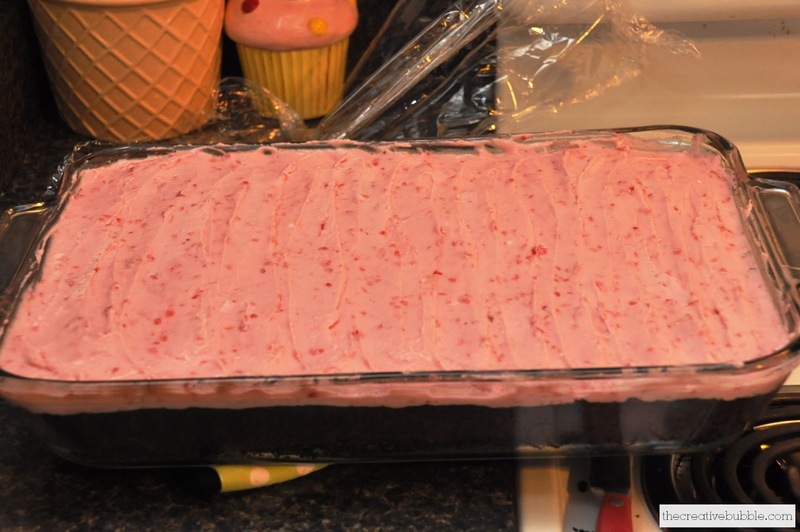 You could even half the icing recipe and have enough to cover them. I just didn't want to half the 8oz cream cheese block in the recipe. 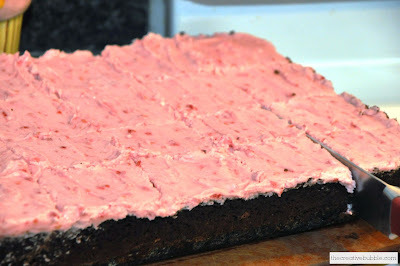 RECIPE EDITED: I went ahead and halved the cream cheese icing, because I had a little extra. Katie this is the first time I have looked at your blog, how cute. Can't wait to try your brownies. Also praying for your family and that new baby boy!